Fallout 4 is an ever expansive game which has so many things to explore and when new DLCs are rolled out, it becomes more exciting than ever. While it’s fun and frolic in the world created by Bethesda, the Far Harbor DLC which was rolled out recently had lot of issues, specifically on the PS4 console. Such issues are common as programs designed for the consoles may perform poorly on PC and at times, it ends up causing stutters, lags and crashes on the console platform. 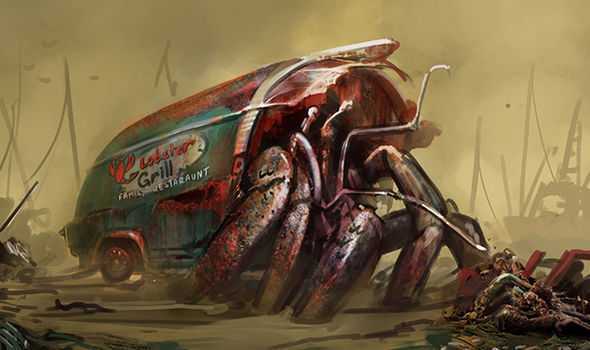 The Fallout 4 Far Harbor DLC is one such example. For those who played it on their favorite Playstation 4 console, it came as a huge shock to see the game locked and running at 20 frames per second. Some reported it ran at 15 fps making it impossible to play the game. Developers of Fallout 4, Bethesda was quick to respond to the issue. The team announced that they have a solution available and will be rolling it out as a software update. The file is now available to download. Players who faced the issue has to delete the expansion from their respective hard drives and reinstall the new version from the official server. The newly updated version available on the PSN server has fixed the problem. It was confirmed by players who has already downloaded the latest version confirmed the same. According to posts found on social media website and other forums, the Fallout 4 Far Harbor updated DLC file now allows the game to run at 30 fps. However, it has been locked in the said frame rate so as to avoid any further issues. With the update, the game is exceptionally smooth and is not just playable but quite enjoyable to experience the new world Bethesda developers have created. Graphical compromises are quite common because the idea is to make the game enjoyable and not focus on minute details. The developers of the game have reduced the volumetric fog and practically removed it in most spots so as to allow the PS4 console to maintain the frame rates. When compared with the Xbox One version of the game the lands look barren as the details are removed and fog is nowhere to be found. Such effects are always hard on the graphical unit and the processor even for those who are running it on a high end PC. By making a minor compromise, they have managed to solve PS4 framerate issues.